Sustainable Development is a broad and universal concept. Indicators are a basis to measure sustainability and to direct policies that aim to achieve a better quality of life. Thai Binh, a coastal province in North Vietnam is strongly concerned about strategic sustainability development. 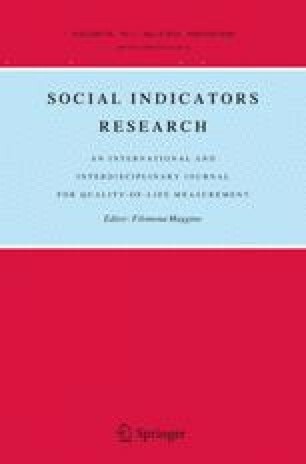 To select a system of sustainability indicators, the Delphi method was applied in 2012. A two-round questionnaire was organized to use with 32 experts, who acted as participants. 69 indicators were selected from 98 listed indicators: 15 related to economic development, 5 to the sea and coastal zone, 1 to the global economic partnership, 4 to consumption and production patterns, 7 to poverty, 3 to governance, 9 to health, 4 to education, 3 to demographics, 2 to natural hazards, 5 to atmosphere, 7 to land, and 3 to freshwater. Conversely, 29 other indicators were rejected. The Delphi method allows indicator selection for identification of the process of sustainability. The system of indicators, as the first important step of the sustainable development process, provides useful information for decision makers and planners as well sustainability strategy. It is planned that the indicators selected should be applied in the province. This study is a part of the project: “A scientific base for establishing an indicator system for sustainable development: a case study in the Thai Binh province, Vietnam” funded by Vietnam National Foundation for Science and Technology (NAFOSTED) under grant number 105.99-2011.08. We would like to thank the Thai Binh People’s Committee and Departments (e.g. Natural Resources and Environment, Science and Technology, Agriculture and Rural Development, Planning and Investment, Transport, Trade), Institutes, and Universities for their kindness and supplying materials; experts who were most collaborative in completing the questionnaires and in providing feedback on the results. We would like to thank Mr. James Hennessy (Australian—Sustainable Development Research Assistant, Vietnam National Museum of Nature) who helped us ensure correctness of English. ALM (Adaptation Learning Mechanism). (2009). Vietnam Country profile. http://www.adaptationlearning.net. Accessed 8 February 2012. Boothroyd, P. (2000). Doi moi, poverty reduction, and the role of the academy. In International conference on Vietnam in the 20th Century, Hanoi, 19th–21st September 2000. http://www.chs.ubc.ca/lprv/PDF/lprv0600.pdf. Accessed 8 March 2012. Chu, H. C., & Hwang, G. J. (2007). A Delphi-based approach to developing experts system with the cooperation of multiple experts. Experts System with Application. doi: 10.1016/j.eswa.2007.05.034. Hai, L. T., Hai, P. H., Thai, C. L., Hugé, J., Ahenkan, A., & Quynh, L. X., et al. (2011). Software for sustainability assessment: A case study in Quang Tri province, Vietnam. Environmental Model Assessment. Doi: 10.1007/s10666-011-9264-4. Helmer, O. (1983). Looking forward: A guide to future research. Beverly Hills, CA: Sage. http://www.hta.nhsweb.nhs.uk/fullmono/mon505.pdf. Accessed 20 June 2012. NASA. (2003). Sustainable development indicators. http://www.hq.nasa.gov/iwgsdi/Welcome.html. Accessed 20 February 2012. UN. (1992). Information for decision-making and participation. http://www.un.org/esa/dsd/susdevtopics/sdt_infodecimaki.shtml. Accessed 31 October 2012. UN. (2007b). United Nations and sustainability. http://www.un.org/en/sustainability. Accessed 28 February 2012. UN. (2012). United Nations conference on sustainable development, Rio + 20. http://sustainabledevelopment.un.org/rio20.html. Accessed 5 November 2012. VIDS. (2005). Formulating framework for sustainable development indicators in Vietnam. http://www.vids.org.vn/en/asp/NewsDetail.asp?area=1&cat=828&ID=276. Accessed 5 November 2012. WCED. (1987). Report on the world commission on environment and development: General assembly. 96th plenary meeting. http://www.un.org/documents/ga/res/42/ares42-187.htm. Accessed on 5 June 2012.